Below you can find our selected shows from the first marathon. 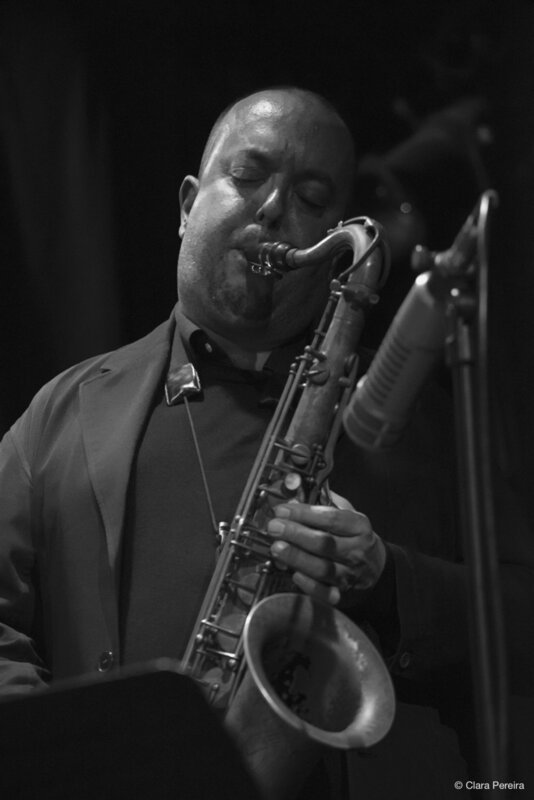 The Jamie Saft Quartet allured a considerable number of enthusiasts to their gig at SoHo Playhouse, one of the newly added venues of the festival. 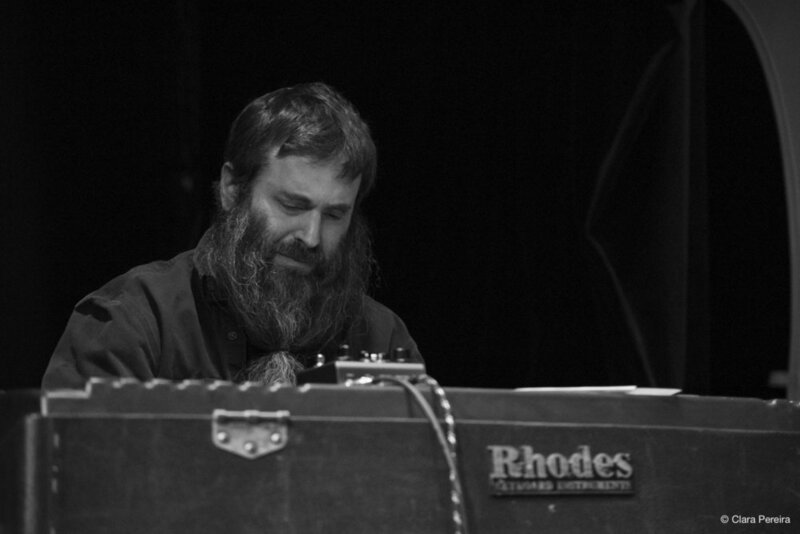 The keyboardist, who released two amazing records last year, one solo (Solo a Genova) and one in quartet (Blue Dream), played music from the latter in the company of the ones who recorded it: Bill McHenry on tenor saxophone, Brad Jones on acoustic bass, and Nasheet Waits on drums. 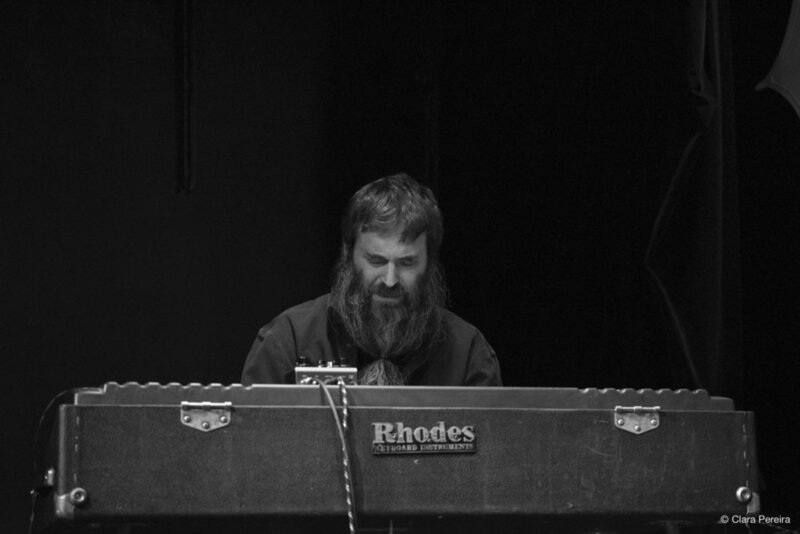 Playing exclusively Rhodes, Saft selected tunes that easily reached the heart and uplifted the soul of the attendees. 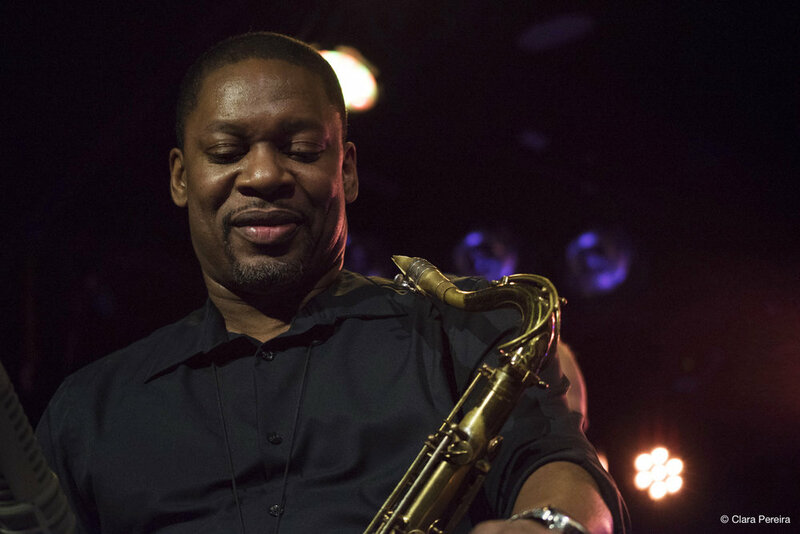 The first track of the record, “Vessels”, was chosen to open the concert and was cooked nicely and slowly with a Coltrane-like spirituality. Besides the bandleader, who comfortably deconstructs and rebuilds with authority, the tune featured Waits, brilliant in an extended solo that pointed in the direction of "Equanimity". The tender ballad “Violet For Furs” was able to warm the cold room whilst “Blue Dream” had Jones cooking a preamble with Arabic scents. With the swinging drive fluctuating according to the musicians’ whims, Saft swept the keyboard from one side to the other, creating a massive wave of sound that probably shocked the ones with a more delicate ear. 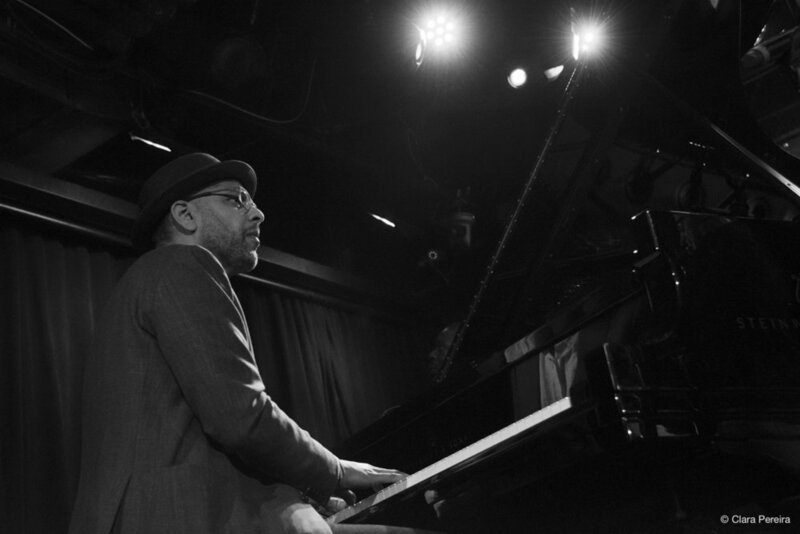 By the time that McHenry stepped forward to improvise, shifting rhythms controlled the passages, ranging from rock to swinging jazz, and even probing an ephemeral Latin groove. 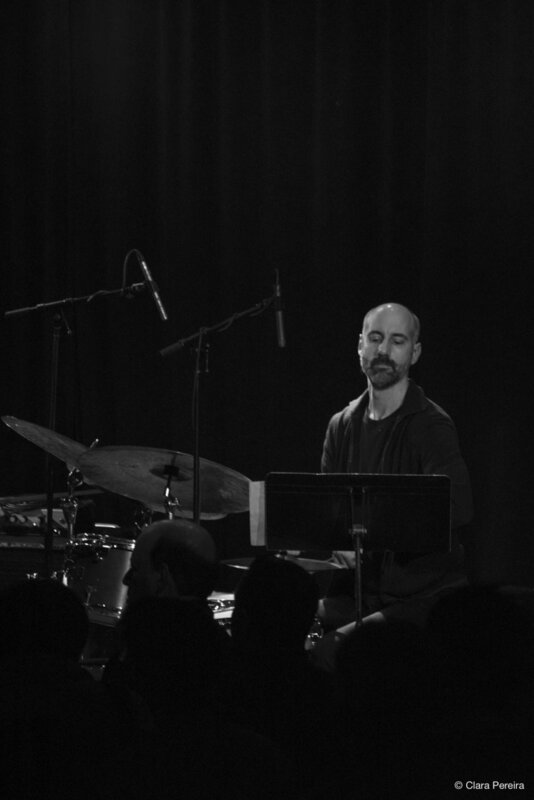 Next, we headed to Le Poisson Rouge on Bleecker Street, where the trio of Shai Maestro had great fun presenting material from their first ECM album The Dream Thief. 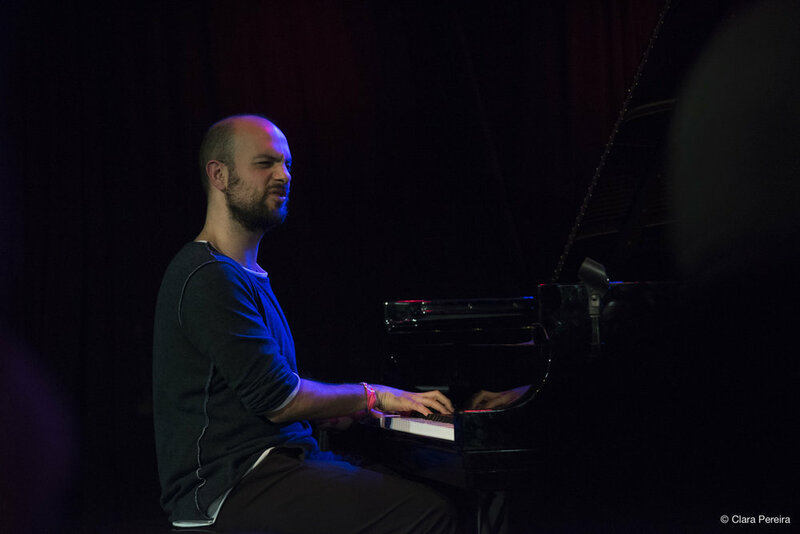 The pianist performed alongside bassist Jorge Roeder and drummer Ofri Nehemya, who contributed to the tranquil atmosphere, only disturbed by some loud voices coming from the bar. 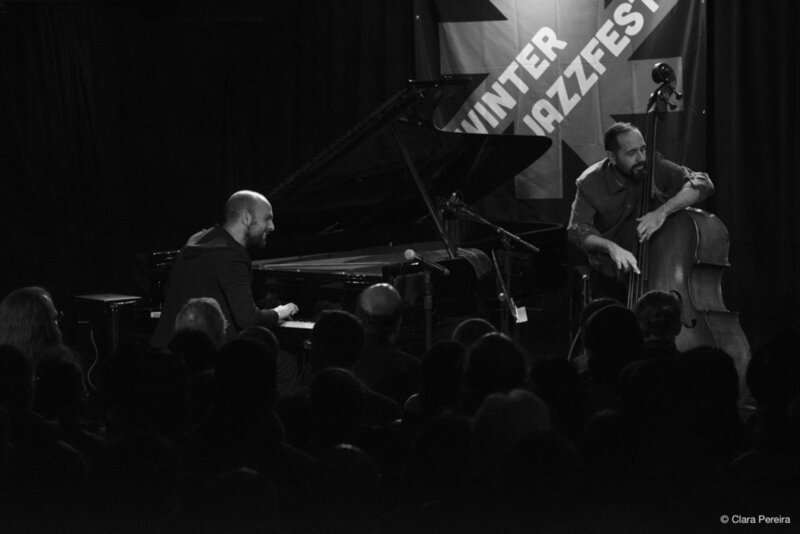 Playing without a set list, the music flowed naturally with the trio revealing elasticity on “The Dream Thief” and promoting serenity through the classical-jazz hybridity of “A Moon’s Tale” and the soothing melodic contours of “The Forgotten Village”. Abnormal feedback appeared at a given time, followed by a total loss of sound on the musicians’ monitors. The sound crew promptly fixed the problems. Unfortunately, schedule conflicts didn’t allow us to stay until the end, but it was easy to conclude that Maestro’s relaxing music has the same strong emotional dimension when played live. 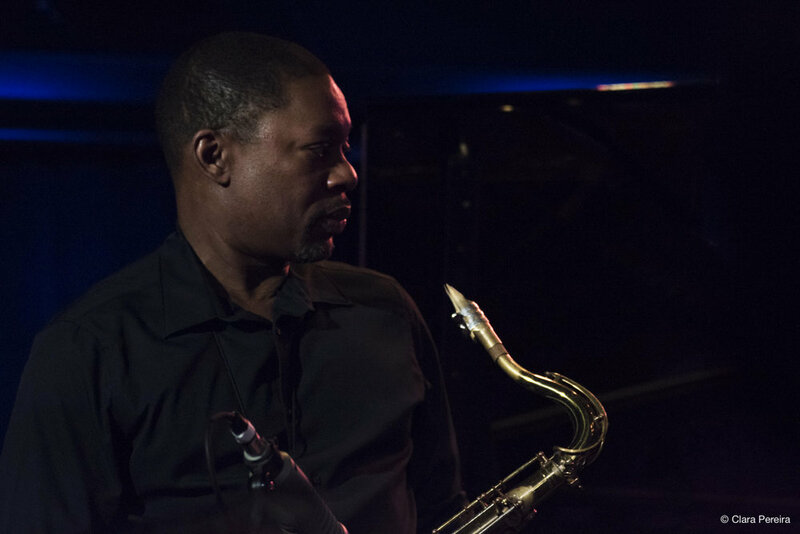 Tenor saxophonist/vocalist Maria Grand presented the project DiaTribe at Zinc Bar, sharing the stage with new partners: vocalist/improviser Fay Victor, bassist Nick Dunston, and drummer Savannah Harris. Appealing to social consciousness, the group blends jazz, funk, hip hop beat, and free improv. Words of wisdom and protest separated by intervallic keenness and saxophone lines with angular deflection and timbral precision were important elements of a performance that only sporadically caused a sensation. However, interesting moments could be enjoyed on “TII: Maria”, a composition included on the album Magdalena, and “West”, one of the four cardinal points that composed the 2017 EP TetraWind. People around me were intrigued with the agile phrasing of Grand, who, on the last piece, welcomed guest trombonist Kalia Vandever to the bandstand. That was when Victor made everyone aware that ‘science without conscience is but the ruin of the soul’. Minutes later, Le Poisson Rouge accommodated the best concert of the night. 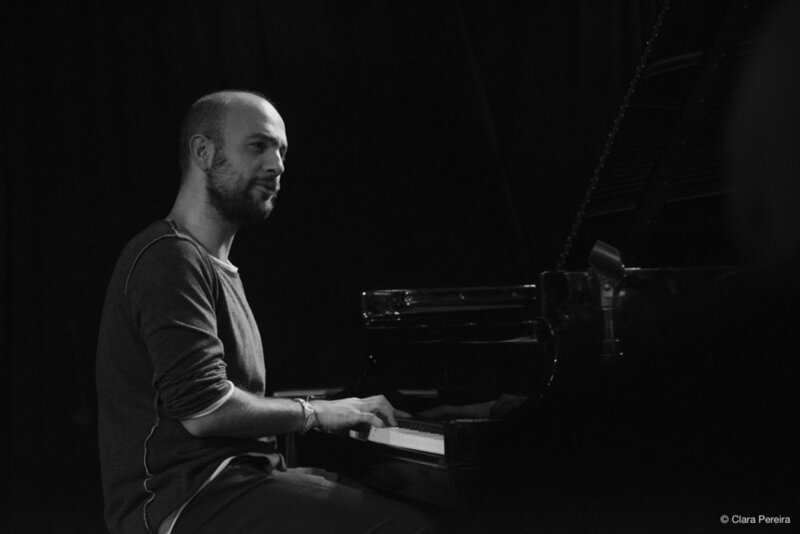 Ralph Alessi and his acclaimed quintet This Against That showcased tunes from the trumpeter’s forthcoming album, Imaginary Friends, soon to be released on ECM Records. 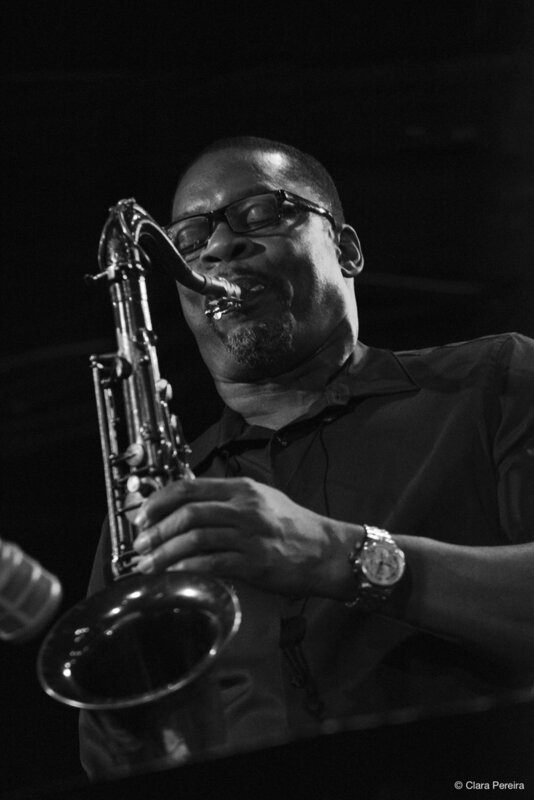 The group includes saxophonist Ravi Coltrane, pianist Andy Milne, bassist Drew Gress, and drummer Mark Ferber. Having listened to the album beforehand, I can affirm that this concert reflected the same amazing vibe and glow associated with the recorded pieces. 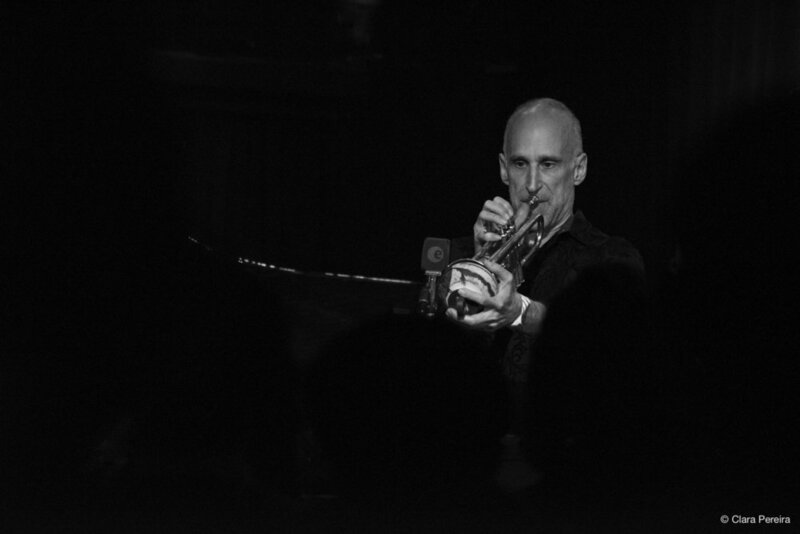 “Fun Room” was firstly catapulted by an animated conversation between tenor and trumpet, after which vibrant solos put the audience into a controlled state of euphoria. Rhythmically complex motions associated with an acoustic purity in sound kept potentiating emotions and the elegant “Iram Issela” was a good example of that, also emphasizing the soloing abilities of Alessi and Coltrane. After the perpetually floating “Oxide”, which was conveniently equipped with prepared piano for texture, and the slightly mysterious “Imaginary Friends”, the saxophonist rose to prominence on “Melee”, delivering a fiery hot improvisation on sopranino. Alessi joined him for an absolutely stunning finale.